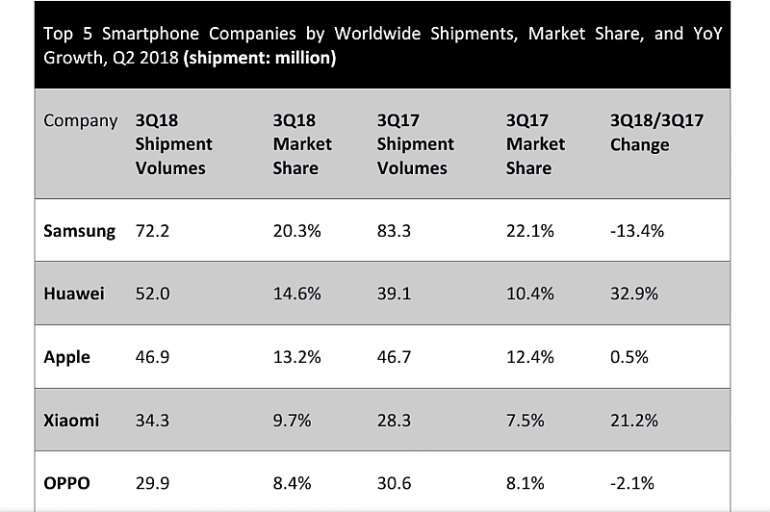 According to leading analyst firms such as IDC, IHS Markit, and Counterpoint Huawei overtook Apple again in the third quarter of 2018 and remains the world's second largest smartphone vendor for two consecutive quarters. While its market share was down slightly from last quarter's 15.9%, Huawei still shipped 52 million handsets and grabbed 14.6% global market share. From a product perspective, its P-series and Mate-series are keeping it as competitive as ever. And Honor, which focuses on young consumers through online channels, has continued to sell well in many markets. IDC says smartphone vendors shipped 355.2 million units in Q3, down by 6.0% YoY, leading to a fourth-quarter loss. This casts doubt on the smartphone market. China represents roughly one third of smartphone of the global market share. It has, however, experienced decline since Q2 2017, and Q3 2018 is the sixth quarter where the Chinese smartphone market has seen contraction. 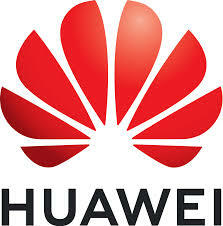 However, Huawei is gaining momentum due to growth in its local and global shipments. Huawei’s success can be attributed to its persistent efforts in R&D and customer experience. Richard Yu once said, "Huawei CBG starts from and ends with end users". To satisfy and delight customers has always been the "one thing" Huawei-ers do every day. But there is no shortcut to good customer experience. The only way forward is to deliver better products and services, and show customers how much Huawei cares about them, and how closely Huawei listens to their voices. This is one example of what "customer-centricity" means to the company. Thanks to these efforts, now Huawei is a brand the world loves. More people are switching to (and even sticking to) Huawei smartphones. Everything Huawei does is about improving customer experience. Innovation never stops at Huawei. Innovation for inspiring customer experience – that is Huawei's secret ingredient to market success. HUAWEI Y9 2019 features a stylish look with a sleek silhouette and refined aesthetics. Its unique glossy appearance is timeless and youthful, and its latest technology trends offer users state of the art gaming, audio-visual and entertainment experiences.